The Amerock BP55270GM Blackrock 1-5/16in(33mm) DIA Knob is finished in Gunmetal. The BlackRock collection offers sleek simplicity with a contemporary indulgence. This eclectic line boasts bold shapes and sizes. Elegant and eye-catching, Gunmetal is the perfect alternative for those who love metallic, but prefer a hint of subtlety. Use this finish to enhance the modern ambience of stainless steel and black appliances without overwhelming their natural gravity. Blackrock 1-5/16 Inch (33mm) DIA Knob - Gunmetal The Amerock BP55270GM Blackrock 1-5/16in(33mm) DIA Knob is finished in Gunmetal. The BlackRock collection offers sleek simplicity with a contemporary indulgence. This eclectic line boasts bold shapes and sizes. Elegant and eye-catching, Gunmetal is the perfect alternative for those who love metallic, but prefer a hint of subtlety. Use this finish to enhance the modern ambience of stainless steel and black appliances without overwhelming their natural gravity. 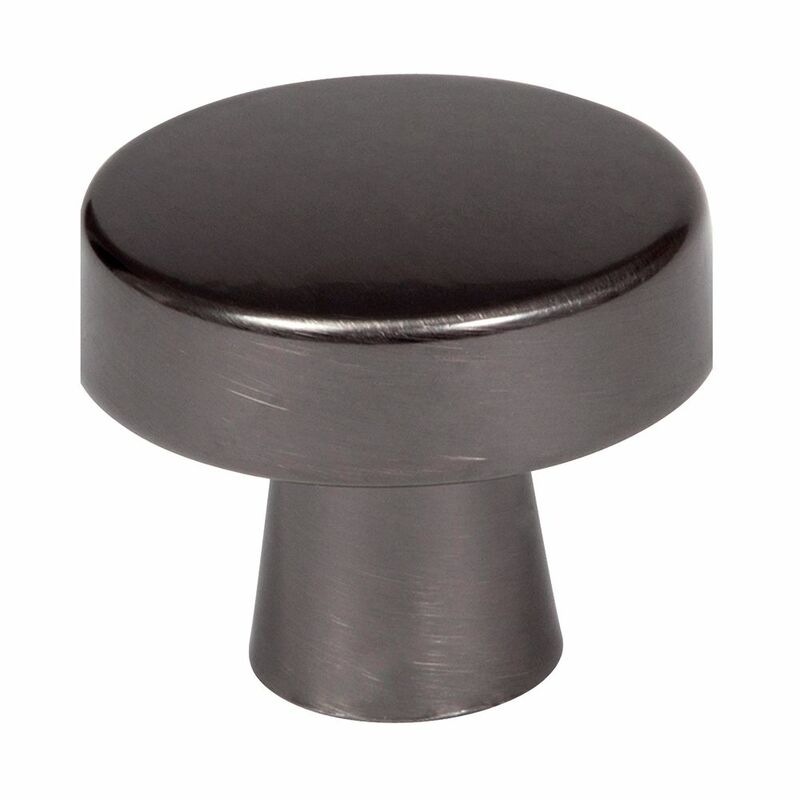 Blackrock 1-5/16 Inch (33mm) DIA Knob - Gunmetal is rated 5.0 out of 5 by 1. Rated 5 out of 5 by Manateegina from These knobs match my black stainless refrigerator beautifully. My only complaint would be that a ... These knobs match my black stainless refrigerator beautifully. My only complaint would be that a few of them came scratched up in the box that I ordered and I had to return them. I would say if you are ordering in bulk, to order several extra to compensate for the few that arrive scratched up.